White Tie Designs specializes in Save The Dates, either flat card or magnet, you can choose how to announce your Big Day! Transform our wedding save the date card designs below by including your chosen message, photos and color options. Our wedding save the date cards are a perfect way to announce your Big Day. Choose from our designs are fully customizable. Include your message, colors and paper options and more! Our Save The Date Magnets are popular with couples! No matter your style, you can send a unique keepsake for your Big Day! Save the Date Postcards are a easy way to inform your guests of your wedding day while saving a bit on postage! 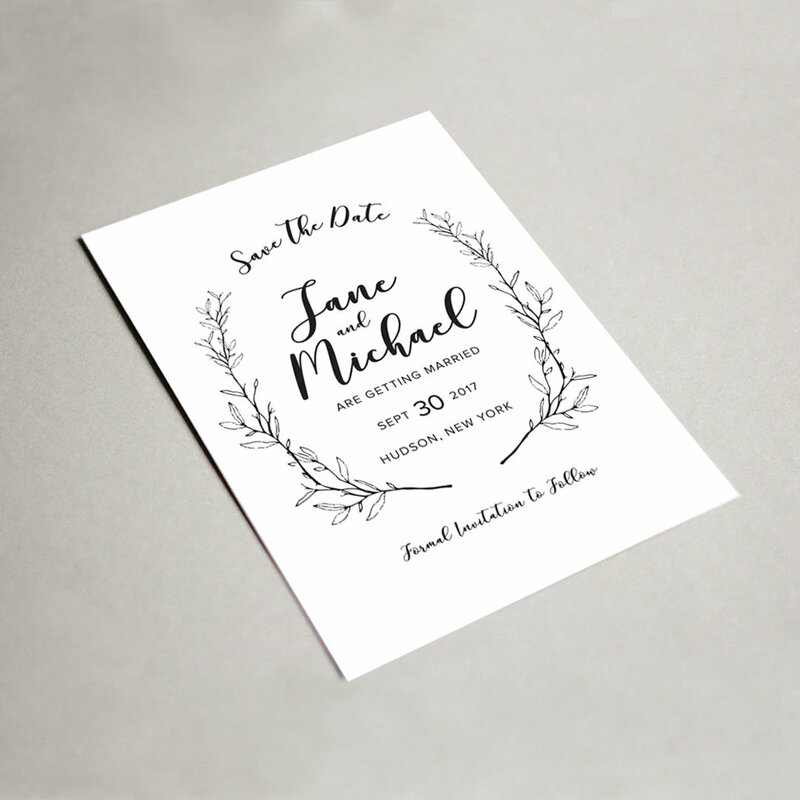 Customize each design with options that include your wedding details, photos, colors and more! We specialize in Save The Date design and printing! No matter your theme, colors or vision we can help customize a design fit to most any budget. We enjoy working on Save The Dates as they are usually the first impression someone makes about their big day. 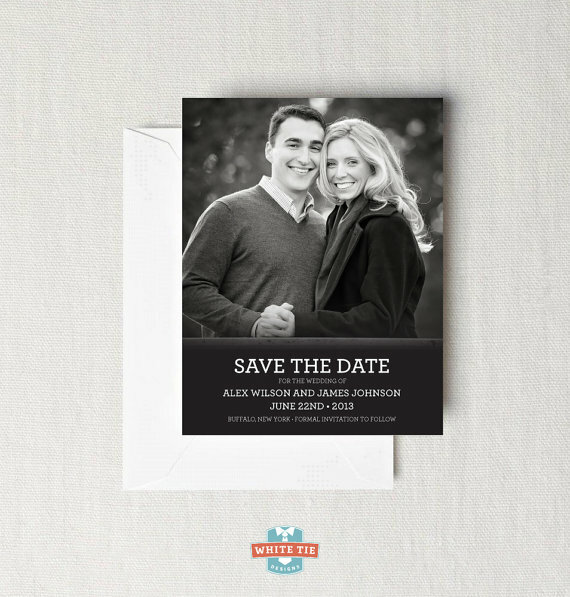 We feature some of our favorite designs ready to go with your colors, images and wedding day information in our save the date shop! White Tie Designs offers a large variety of photo save the dates, save the date flatcards, thermography save the dates, postcards and Magnets, which have become more popular over the years. You will find an array of designs from modern to vintage and some that feature photos and clean typography. Looking for a Custom Save The Date? Be sure to contact us to set up a time for us to chat and review your ideas. 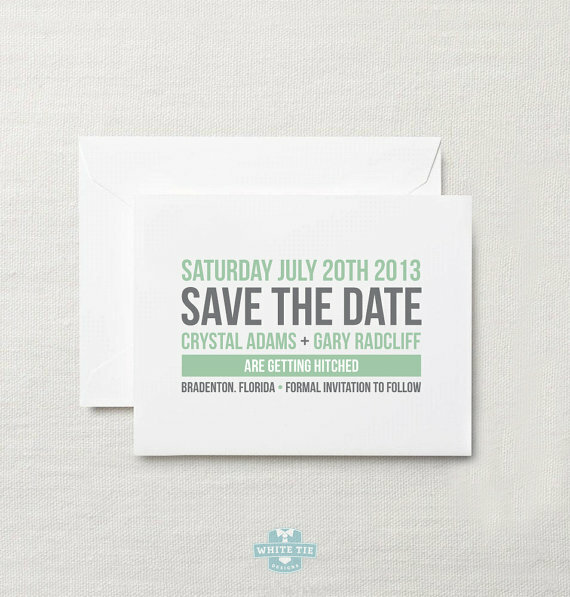 Then we can gather a direct quote for your custom save the date order. Every wedding is unique so it is completely up to you! Most will say that mailing your save the dates 6 months before your wedding gives you three months to organize and send out your wedding invitations. If you have guests from other states or countries attending your wedding the more notice you give the better. Some say between 8 and 10 months before the big day to allow them to make travel arrangements.